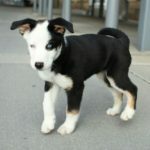 Sometimes you can find mongrel dog among the large number of purebred dogs that came from crossing two different breeds. Such dogs are called mestizos. 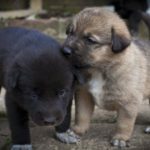 This name is often referred to as mixed breed dogs, or dogs that have unknown genes. Parents of such dogs can be pedigreed dogs. 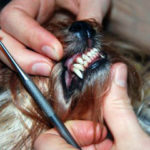 Moreover, in this case, it is impossible to predict which particular genes are dominant and occur in the dog. However, today cynologists have improved the science of breed crossing and dog mestizos became more and more popular. 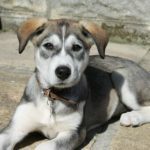 In this article, we would to introduce you one of the most popular and demanding dog mixture – Husky and Labrador mix. 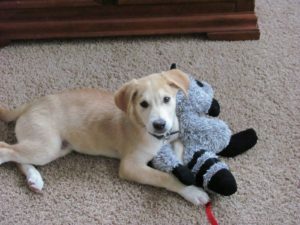 Advice: when you take your mestizo puppy, it will be very difficult to guess the size of an adult dog. This is true even in cases where both parents are well known. 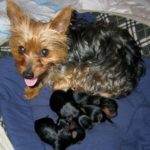 In addition, it is unclear to which parent’s genes will domain in the dog. Nevertheless, you can guess the size of adult dog looking to the size of his paws. If they are too big, consequently the dog will be huge in adult. Labrador retriever is one of the most popular dogs. Originally, this breed has been bred as a working dog, so many Labradors are still used as a sporting dog, guide or rescue dogs. The breed originates on Newfoundland — the east coast of Canada. The character of this dog is shrewd and docile, affectionate and very friendly. They are very kind in nature with no trace of aggression or undue shyness. Anyone who tries to use a Labrador retriever as a guard is likely to be disappointed. 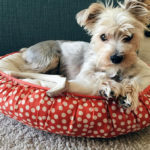 Despite the fact that this dog may bark a lot and loudly, in some situations, it is too friendly and not aggressive to be an effective guard of property. It cannot scare off strangers. However, the mix with Husky is going to solve this problem. Unlike Labrador, huskies are very protective and strict. However, despite their wolf appearance they are very playful and energetic. If Labrador can be satisfied by the constant home yard, huskies need much more physical activities. Therefore, if you will leave it on the yard, it will not satisfy him. 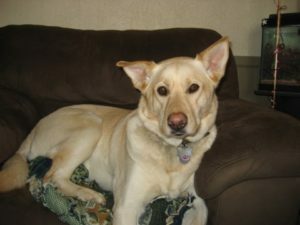 This dog needs every day running and strong physical treatment. One of the disadvantages of huskies is that most of them may suffer from leg dysplasia and even epilepsies. 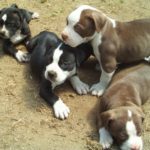 Therefore, people start to cross its genes with other dogs, as it is well known that mix dogs inherit the best qualities of their parents. In some cases it even allow to avoid the genetic illnesses. 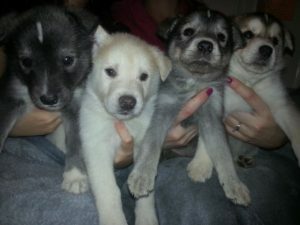 These amazing artificially bred dogs are extremely beautiful. 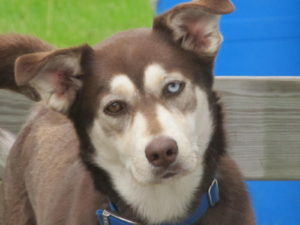 The dog is recovering from its whitish husky expressive, typically northern eyes, and from Labrador — body and color. Moreover, the pet’s fur may be motley and spotted. 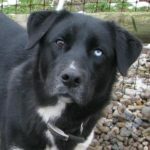 Some dogs may have different eyes — one is light blue, the other is brown. It may seem strange at the first glance, but some people found it unusual and attractive. The nature of these dogs is generally moderate, although sometimes-dour character taken from Husky could still slip into everyday behavior. These pets are very smart; they have prevailing logic in every action (except games). They also are responsive, friendly enough and devoted companion. They also have very protective sense, so when danger occurs nearby their hosts, they can show little aggression. 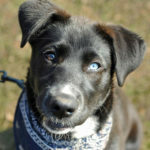 Labrador plus Husky mix is gentle and patient, can easily find a common language with children, love to play at any age. They are also very mobile and sometimes became even noisy. Although Labrador husky looks more like a wolf than Siberian Husky in its sizes it is very gentle and playful dog. 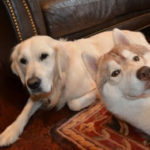 Suggestion: you should build relationship with him very cautiously: like any wolf, these Husky developed the temperament of the leader and chief. For example, you may notice rather angry, unhappy roar when they see the lack of food in the bowl. Therefore, it is important to educate puppy properly from its childhood, showing who is boss in the house. 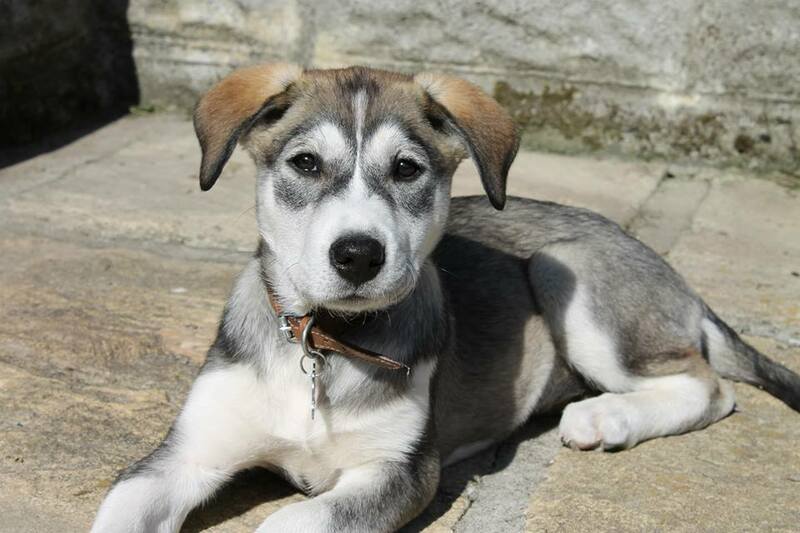 Then your crossbreed will grow a good-natured dog and their character will not be different from the cheerful Husky. The dog needs long walks and games. Be careful! In the street do not let him run in front of you — it can wake up a formidable leader in him.